Dweebs must treat each other as friends. This does not mean we cannot poke fun or disagree. Dweebs must reward the trust of the squadron. We can pretty much figure out what this means -- don't willingly betray your fellow flyers or reveal "secrets". When possible, help squadmates to succeed and spend as little time as possible in the frustrating parachute drop or teleport back to base. Dweebs must substantially obey orders. This is the basis of minimizing delays and pretty much the reason for being in a squadron -- to fly in the same direction as others. The unwritten rule is that we want everyone to have a chance to do some leading if they want it. Anyone issuing orders should make an effort to see that everyone's preferences for plane type and mission style receives a hearing so that no member should feel like the squad MAKES them do things that aren't fun for them. Dweebs must be low-maintenance. This means, don't converse endlessly with officers on private radio channels or make every mission get planned out interactively as it gets assembled. During S3 events and scenarios, it's important to keep the Roger Wilco and squad radio buffer channels clear for mission-critical messages. The flyer's current assignment to a sub-group within the squadron. An Active Dweeb is one who flies on a majority of the scheduled nights or who otherwise strongly contributes to the character and reputation of the squadron. Help with planning, artwork, or publication of stories, plans, and HTML generally contributes to meeting this criteria. Flying, helping other pilots, and generally following our SOP also contributes, as it builds our friendships and minimizes time wasted trying to figure out what is going on. Your talents as a pilot do not matter. Your familiarity with our practices might place you from time to time in a command position with some Reservist flyers. The easiest rule of thumb is that if your flight leader looks over his shoulder and sees you at 100 yards keeping impeccable station, you are on track to be an Active Dweeb.  The Dweeb Reserve is for pilots who fly with other squadrons or who can not often make the regular missions. Some of our best pilots might be reservists, so there is no stigma attached to this status -- the lesser standing is only so that we may more visibly reward people who meet the criteria for Active Status. I expect our Reserve to be quite large, allowing our major missions to be wonderfully weighty. The Reserve is basically open to all who continue to treat the other Dweebs with respect and to follow the orders of the current flight leaders. Everyone who joins starts out as a Dweeb Cadet, even if they are good. If the flyer is new and needs the basic skills honed, other pilots will help. When Cadet and Commanding Officer see that things are working out, they will agree on whether the Cadet should be be Activated or placed in Reserve, and assign him/her to a flight. A pilot may hold zero or more offices. Not all offices are freely associable (e.g. : you cannot command two Flights, but you may command a Flight and be the squadron's morale officer). Also, terms of office or how you ascend to an office will vary. The rules will be somewhat haphazard, but here is a start. The CO is in charge of the entire squadron. S/he will generally be the decision maker about how we coordinate with other squadrons and will try to be the official mouthpiece of announcements within and without our squadron to help us bolster our identity. This person generally "owns" the squadron name, and can keep the office until s/he chooses to disband the squadron or hand it over to another member. As much as possible, the CO should make a point of keeping the squadron lively with games, contests, and challenges for the members. The XO helps keep the squadron's regular activities humming by coordinating weekly missions and assigning flyers to divisions. The CO appoints the XO, and may occasionally rotate the person holding this position. Generally, when we have a good turnout, we will fly as organized formations called flights. Each flight has a leader who flies with it and directs its pre-flight rallying, loading, departure, and mission execution. Being a Flight Leader is a demanding task that must be taken somewhat seriously. The need to coordinate things over the typing radio or email often means that FL's do not get to use their flying talents to full effect. The Dweebs award medals and tokens of honor to signify the members who display desirable talents or personally demonstrate ideals we value, such as bravery or patient stewardship which reflects their attention to helping others have as much fun as possible in this game. Dweebs given an award will have a graphic representation of it posted by their name of the roster. As time and resources permit, a real physical version will be mailed to you. These tokens will be fun, and are designed to boost the pride of association we feel should characterize membership in our organization. Ooh la la! The M-55 Propeller Beanie, Multicolored is awarded to pilots who are continually making weekly missions and, during their course, helping build the cohesion of the squad. The Propeller Beanie veritably SCREAMS "I am a Dweeb!". Pilots awarded one will find that it has their Warbirds tag stitched into it by a computer-driven machine, and that they have a happy little animal affixed at the base of the propeller shaft. There are beads and stars and colors everywhere. When you put one on, an aura of capable authority seems to surround you. Most traffic enforcement officials decline to issue you citations. The Commanding Officer makes these awards, and generally their awarded to all flyers who are true Active Dweebs.